Place a kadai on the stove and add 2 tbsp oil,after heating add urad dal,chana dal, mustard seeds, Jeera and Ginger. After it is half cooked add dhania powder, jeera powder and chilli powder, tomato pieces. 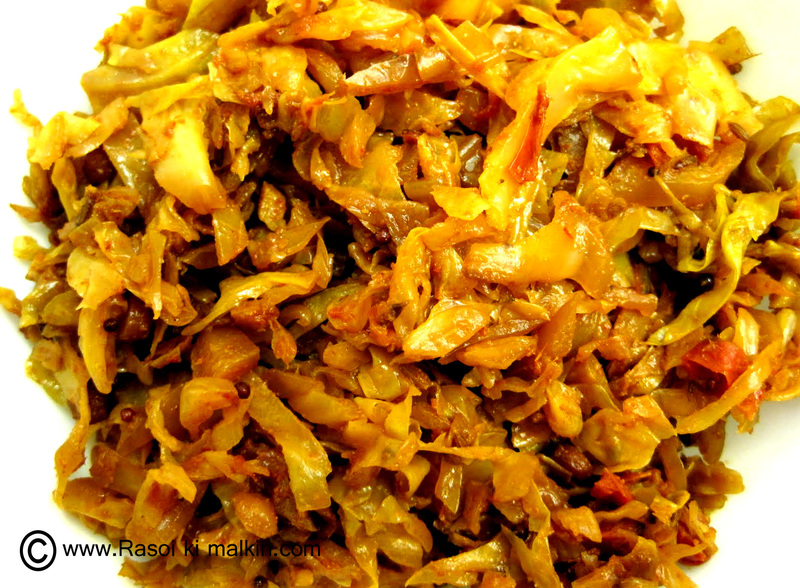 After tomato and cabbage is fully cooked, Open the lid and cook for 2 mins,so that extra water is evaporated. Switch it full when it is fully done. Very ideal for rotis &rice.